Asian Senior Judo Championships 2011, Abu Dhabi, U. 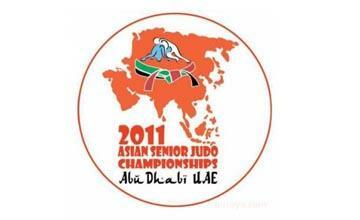 A. E.
This article is about the Asian Senior Judo Championships 2011, Abu Dhabi, U. A. E. that was held from April 5th to April 7, 2011 and saw the participation of various nations of Asia. The continent level competition organised by Judo Union of Asia was a countable success and the details for the competition is enlisted in this article. The Asian Judo Championships 2011 was hosted by United Arab Emirates, at Abu Dhabi. The event was one of the major contributions to the judo world. The event is a step taken by the Judo Union of Asia to promote and encourage the sport of judo in the world. Even though the martial art is well known, there are not many volunteers who wish to take up this sport as a mainstream engagement. The Asian Judo Championships 2011 was started in hope that the sport is not gone behind the curtains between consecutive Olympic Games. With various countries participating, like China, Korea, Japan Vietnam, and Malaysia which are among the judo playing nations, there were several nations, like Uzbekistan, Kazakhstan, Russia, Pakistan, India, Bangladesh, Afghanistan, Sri Lanka, Jordan etc which have been noticed as the rising junction for potential judo talents were among the major participants of the Asian Senior Judo Championships 2011. As set forth by the Judo Union of Asia, only the members of the federation were allowed to participate in the Senior Judo Championships 2011 in Asia. The participants were able to submit their enrollment in the following categories by weight for individuals. The men's division had extra-lightweight which was below 60 kg, Half Lightweight which was between 60 and 66 kg, Lightweight – 66 to 73 kg, Half middleweight – 73 to 81 kg, middle weight – 81 to 90 kg, half heavy weight – 90 to 100 kg, heavy weight – for men over 100 kg. The women's section had similar divisions, with extra light weight starting from 48 kg, half light weight from 52 kg, lightweight from 57 kg, half middle weight from 63 kg, middle weight from 70 kg, half heavy weight from 78 kg, and above 78 kg were put into the heavyweights section. Other than the individual participations, each federation or association were allowed to create a team involving only one participant for each of the categories for the competitions. The duration of each contest was fixed at 5 minutes each by the Judo Union of Asia. The Senior Judo Championship of Asia in 2011 was scheduled to start on 5th of April 2011 and ended on 7th of April 2011. On 5th of April, The unofficial weighing of the individual women participants started from 7:00 am to 7:30 am followed by the official weighing starting from 7:30 am to 8:00 am. The preliminaries went ahead from 10:00 am to 4:00 pm local time, followed by the final starting from 5 pm onwards to 8 pm. The preliminaries and the final took place in the WJJ Federation Hall which was the chosen venue for the tournament. 6th of April saw the individual men's contests which started with unofficial weighing of participants from 7:00 am to 7:30 am followed by the official weighing starting from 7:30 am to 8:00 am. The preliminaries which took place in the WJJ Federation Hall went ahead from 10:00 am to 4:00 pm local time, followed by the final starting from 5 pm onwards to 8 pm after which the medal ceremony for both men and women took place. 7th of April was celebrated with an identical routine for the team competition with the unofficial and official weighing followed by the preliminaries, the finals and the medal ceremonies. The Asian Senior Judo Championships 2011 was celebrated a great competition with numerous support from the local people and a great amount of interest shown by the Asian nations. Abdullo Tangriev from Uzkebistan snatched the Gold for the heavy weight division while Kim Sung-Min from Korea settled with a silver and a mixed bronze was awarded to Ryuta Ishii (Japan) and Yerzhan Shynkeyev (Kazakhstan) .The extra light weight saw the champions, Choi Gwang-Hyeon (Korea) - gold, Tumurkhuleg Davaadorj from Mongolia – silver and Yerkebulan Kossayev (Kazakhstan) and Gabit Esimbetov (Uzbekistan) - Bronze. The half light weight saw the champions, Junpei Morishita (Japan) - gold, Tsagaanbaatar Khashbaatar from Mongolia – silver and Cho Jun-Ho (Korea) and Mirzahid Farmonov (Uzbekistan) - Bronze. The light weight saw the champions, Wang Ki-Chun (Korea) - gold, Riki Nakaya from Japan – silver and Kim Chol-Su (N. Korea) and Ali Maloumat (Iran) - Bronze. The half middle weight saw the champions, Kim Jae-Bum (Korea) - gold, Islam Bozbayev from Kazakhstan – silver and Si Rijigawa (China) - Bronze. The middle weight saw the champions, Lee Kyu-Won (Korea) - gold, Daiki Nishiyama from Japan – silver and Dilshod Choriev (Uzbekistan) and Timur Bolat (Kazakhstan) - Bronze. The half heavy weight saw the champions, Ramziddin Sayidov (Uzbekistan) - gold, Hwang Hee-Tae from Korea – silver and Naidan Tuvshinbayar (Mongolia) and Daisuke Kobayashi (Japan) - Bronze. Megumi Tachimoto from Japan snatched the Gold for the heavy weight division while Kim Na-Young from Korea settled with a silver and a mixed bronze was awarded to Tserenkhand Dorjgotov (Mongolia) and Gulzhan Issanova (Kazakhstan) .The extra light weight saw the champions, Hiromi Endo (Japan) - gold, Xie Shishi from China – silver and Hwang Ryu-Ok (N. Korea) and Van Ngoc Tu (Vietnam) - Bronze. The half light weight saw the champions, Yuka Nishida (Japan) - gold, M.Bundmaa from Mongolia – silver and Jo Songhui (N. Korea) and Kim Kyung-Ok (Korea) - Bronze. The light weight saw the champions, Aiko Sato (Japan) - gold, Kim Jan-Di from Korea – silver and Lien Chen-Ling (C. Taipei) and Lu Tongjuan (China) - Bronze. The half middle weight saw the champions, Xu Lili (China) - gold, Joung Da-Woon from Korea – silver and Yoshie Ueno (China) and T. Munkhzaya (Mongolia) - Bronze. The middle weight saw the champions, Hwang Ye-Sul (Korea) - gold, Haruka Tachimoto from Japan – silver and Chen Fei (China) and Naranjargal Tsend-Ayush (Mongolia) - Bronze. The half heavy weight saw the champions, Lkhamdegd Purevjargal (Mongolia) - gold, Jeong Gyeong-Mi from Korea – silver and Zhang Meiling (China) and Chihiro Takahashi (Japan) - Bronze. In the team competition for Asian Judo Championships in 2011, the gold was awarded to South Korea for men and Japan for women, while the silver was awarded to Japan for men and Mongolia for women, while the bronze was shared between Uzbekistan and Kazakhstan for men and between South Korea and China for women.